When was the last time you typed a password? I’m guessing it was less than 24 hours ago, and it was probably less than an hour ago, particularly if you work in an office, or for a company with a strict password policy. I also guess you have to change your password every 90 days, or perhaps you get a pass, and it’s only every 180 days. The problems with changing passwords are legion. Doing it often encourages users to recycle old ones, or worse still use simple ones, or worst of all write them down on a post it note attached to the bottom of their monitor. To put it mildly these are all rather self defeating. Almost every article about online security talks about how terrible humans are with passwords, and every year the top ten most popular passwords show again how well our animal minds work with encryption, the invariable answer being of course, appallingly. What we need instead is a unique identifier. To be useful it needs to have a number of qualities. It must be with you all the time, it must be unique, impossible to copy, and available at no cost. Apple has been the mass market pioneer of this with its fingerprint technology on iPhones for a few years. It does fit all of the criteria. Fingerprint cognition continues to be a popular approach, and it is part of the security system known as Windows Hello. Microsoft has also been working on a different approach, face recognition. At first it seems pretty simple. Take an image of someone’s face, check it against a database, if their face fits, then let them in. In reality there’s rather more to it than that, technically, even if the effect is an extremely fast and efficient unlocking system for the users. Typically the time to unlock a device with face recognition is under a second. Firstly it can’t simply be a simple image. After all what would happen if you changed your hair, or shave off your beard? Also if it were just a likeness needed, then what would stop someone holding up a photo and gaining access? What’s needed is something altogether more sophisticated. The Microsoft approach not only takes a picture in normal light, but also in infrared. This foils any attempt to use the, hold up an image trick. Secondly the camera measures distances between certain facial features. So the distance between the eyes or the end of the nose for example. This solves the hairstyle, or issue with coming back from a cruise and finding you’ve gained 20lbs problem. As a result of these features the Microsoft technology, known as Windows Hello, gives users the solution the need. Something unique, something they always have with them, and something impossible to fool. 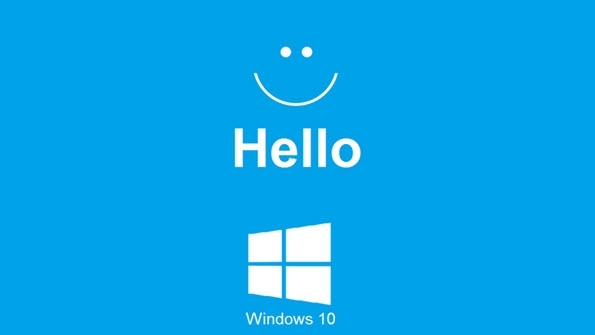 Windows Hello is baked into Microsoft Windows 10, so it is becoming a major driver for many clients to make the move to the new operating system. There is however one thing to consider. The camera you need to utilize Windows Hello. At the time of writing a number of laptops and the Microsoft Surface Pro 4 are equipped with the technology. A lot of these devices are great machines but of course many users need a system that works either on a desktop device, with a docking system, or simply don’t want to invest in a whole new laptop. Traditional webcams are not going to be of use in the Windows Hello environment. Primarily because until now no webcams have integrated infrared capabilities. As of now the only webcam on the market with the required infrared and Microsoft Hello certification is the new BRIO camera from Logitech. Logitech BRIO 4K Pro Webcam is the latest camera from Logitech, and is packed with other amazing features from RightLight 3 with HDR and a 4K sensor. But for many users, simply not having to type in a password 20 times a day will be worth the investment. And if you think remembering a password is rough, spare a thought for that poor support person answering the question about how to reset a password, 57 times a day. Now that is a headache and cost most companies would love to avoid. I guess it’s time to say hello to a Logitech BRIO and Windows Hello.